Omnichannel customer engagement: Deliver tailored, smooth, and context-aware customer experiences across channels. Retail and commercial banking operations: Streamline and automate core banking operations to serve in real time with flexible, agile processes. Risk and compliance: Build an integrated view of finance, risk, and compliance while providing real-time insight to stakeholders. Deliver tailored and context-aware experiences and products with customer-centric origination. Provide real-time agile and automated servicing of multiple products, bundles, and packages. Streamline and automate real-time banking operations with flexible, agile processes. Achieve real-time insight for a reconciled view of finance, risk, and compliance. Enable digital, customer-centric, real-time banking and financial services. 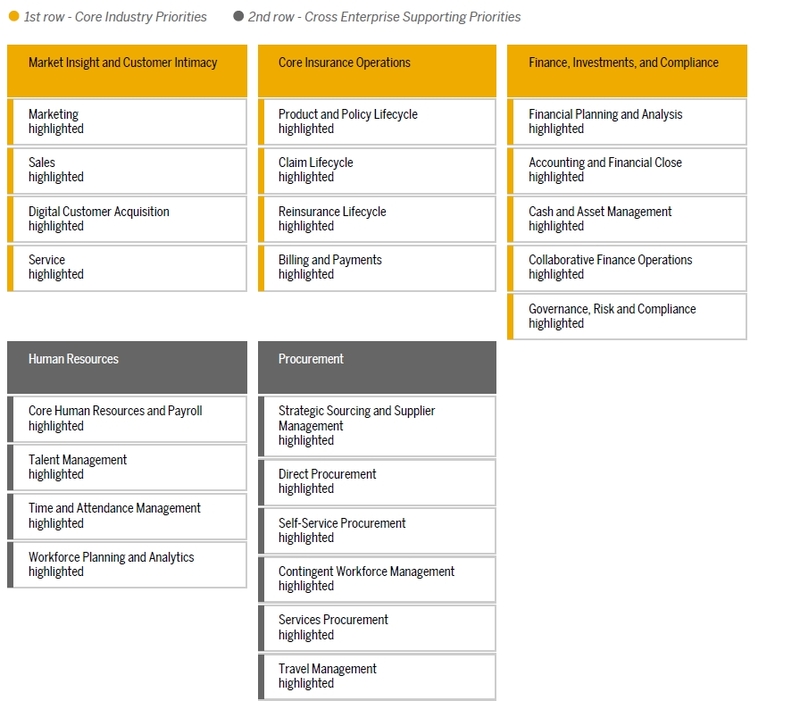 Optimize financial processes and provide real-time financial, risk, and operational insights. The insurance industry is evolving. Customers are informed, demanding, and hyper-connected. Providers need to establish a stronger customer orientation, build deeper relationships with customers, tap into real-time customer and business insights and deliver products to market faster and custom products, and proactively manage risk and compliance. Market insight and customer intimacy: Create personalized offers that are easy to consume and engage the omnichannel consumer. Core insurance operations: Streamline core insurance operations and establish full visibility into risk. Maximize customer loyalty and retention through innovations of the customer experience. Streamline core insurance operations while getting innovative products to market quickly. 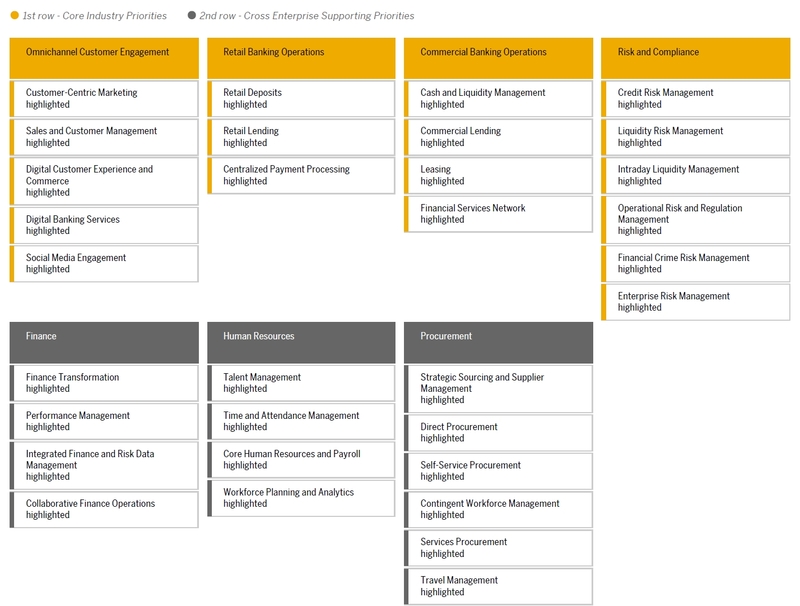 Achieve responsible risk management, balanced investments, and regulatory compliance.